Women in Metalcasting is an AFS special interest group focused on providing a platform for women in the industry to develop avenues for networking, mentorship and the sharing of ideas, experiences, and best practices that will benefit members both professionally and personally. Members benefit from access to regional and national programming, networking and mentoring opportunities, professional development webinars, online community and a robust searchable member directory. Programming: Educational programming in conjunction with Metalcasting Congress/CastExpo is provided to promote diversity and the advancement of women in leadership positions. Networking & Mentoring: Opportunities are available to come together for networking and mentorship. Meet-ups are organized in conjunction with AFS regional chapter meetings and conferences and industry-related events. A networking breakfast is held annually in conjunction with Metalcasting Congress/CastExpo. Professional Development: Women in Metalcasting members are exposed to an assortment of opportunities in conjunction with regional and national events that will further their expertise and knowledge on an array of subjects important to women in the metalcasting industry as well as enhance their leadership skills. 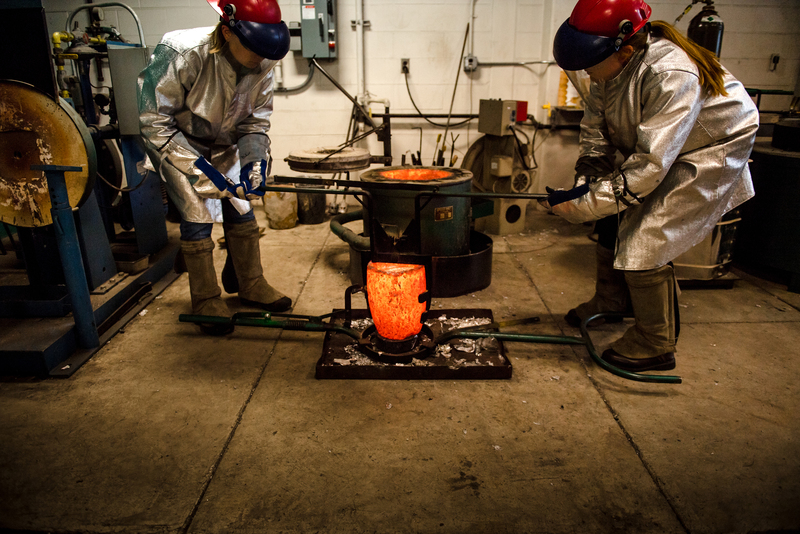 Online Community and Member Directory: Women in Metalcasting can connect online through CastingConnection, AFS’ private social network. The Women in Metalcasting network provides a discussion board, library and searchable members directory. See what it means to be a part of Women in Metalcasting. Join Today! Email Katie Matticks, IT Project Manager, for more information.